A collapse of the North American Free Trade Agreement (NAFTA), which U.S. President Donald Trump has threatened to scrap, could create the most profound disruption for U.S. farmers who produce grains, meats and dairy products sold to Canada and Mexico. Blake Erwin, a third-generation American who raises cattle, corn and soybeans in Dixon, Nebraska, said on Saturday that he is not closely monitoring the negotiations, but that he hopes the outcome will support U.S. farmers who are struggling to make a living due to low commodities prices, rising healthcare costs and high property taxes. Erwin spoke to Reuters over the weekend as U.S., Canadian and Mexican negotiators met in Montreal for the sixth of seven planned rounds of talks to revamp the 1994 pact. U.S. farmers and exporters are fighting to preserve their exports at a time when Canada is finding customers in new markets. They also face strained relations between the United States and Mexico, a major buyer of U.S. corn, wheat, beef, pork and dairy products. Trade flows have already begun to shift. The United States remains the dominant grain supplier to Mexico. Yet Mexico imported 583,000 metric tonnes of corn from Brazil in 2017, a 980 percent jump from the previous year, according to Mexican government trade data. Mexican imports of U.S. soybean meal, used to feed chickens and livestock, fell 29 percent in the first 11 months of 2017, compared with the same period the previous year, according to the U.S. Department of Agriculture. Trump’s animosity toward Mexico and complaints over trade imbalances have pushed longtime buyers to work with new suppliers and expand existing relationships in South America, the European Union and other regions, trade experts said. “You get partners who build a bond and get real comfortable working together. We’re starting to see that bond becoming more important than price for where countries are buying grains,” said Karl Setzer, risk management team leader for MaxYield Cooperative. Case in point: A rare 30,000-tonne shipment of Brazilian corn steamed its way in November to grain terminals in the state of Veracruz, Mexico, operated by agribusiness heavyweights Cargill Inc and Archer Daniels Midland Co. Despite a steep decline in U.S. corn prices, with stocks sitting at a historic high, the buyer paid a premium for the Brazilian grain - as much as $2 more per tonne, according to trade sources. A Cargill spokeswoman said the company had no immediate comment. ADM did not respond to requests for comment. Canada last week agreed to join the new version of the Trans-Pacific Partnership, part of a broad effort to court new trade partners. “The tough NAFTA negotiations have convinced Canada that we have to have a number of trading partners, not just one,” said Ron Bonnett, a beef farmer and president of the Canadian Federation of Agriculture. The revised TPP, known as the Comprehensive and Progressive Agreement for Trans-Pacific Partnership, will reduce tariffs on Canadian pork, beef and wheat to Japan and other markets, in some cases eliminating duties altogether. 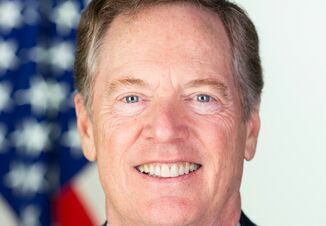 Darci Vetter, former U.S. chief agriculture negotiator, said if the talks dragged on past March they might not end until next year, making it more challenging to sell American farm products. “Other trade agreements will be implemented, buyers of U.S. products in Mexico and Canada won’t be sure that we are a good long-term bet, and so we’re likely to see our clients react accordingly,” she told a panel on NAFTA in Montreal on Friday.